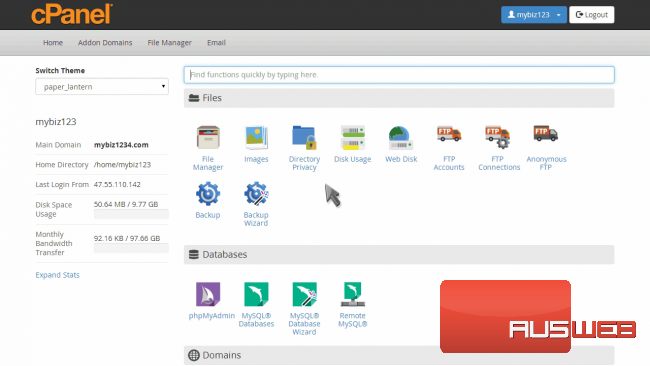 This demo assumes you’ve already logged in to cPanel, and are starting on the home screen. 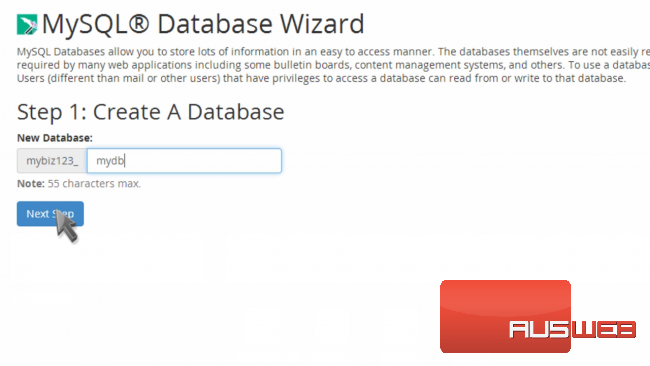 Now let’s learn how to setup a database using the MySQL Database Wizard. 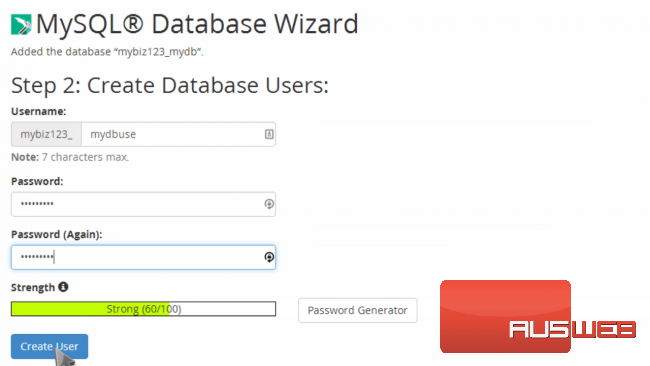 Click the “MySQL Database Wizard” icon. Enter a name for the new database, then click “Next Step”. Now we have to create a user for this database. 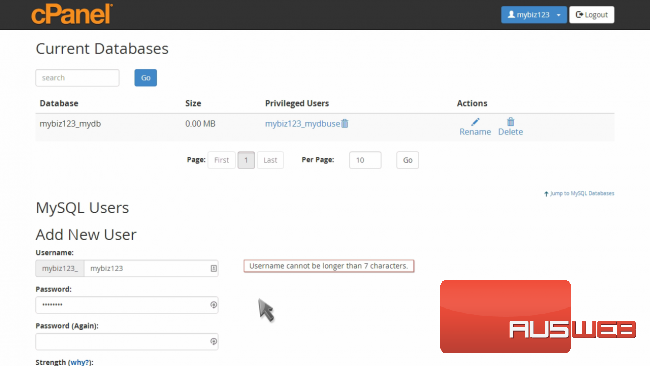 Enter a username and create a password, then click “Create User”. Click the “All Privileges” check box, then click “Next Step”. That’s it! My MySQL database has been created, and the new user added to the database. The database name, username and password will all be needed for scripts that need to connect to the database. Now click the MySQL Databases icon on the main page. Here you can see the new database you just setup. This is the end of the tutorial. You now know how to setup databases using the MySQL Database Wizard.